Although we no longer operate Eurway store locations in the Dallas-Fort Worth area, Houston, Frisco, TX or Tempe, AZ, Collectic Home (the parent company of Eurway.com) does have a store location in Austin, Texas where some Eurway.com items are on display. Collectic Home offers many of the same modern contemporary, European, Scandinavian and urban styles as Eurway in an upscale, loft-like showroom with more special order and customization options available. Browse our unique selection of modern office furniture, contemporary bedroom furniture, mid-century modern dining collections and much more. 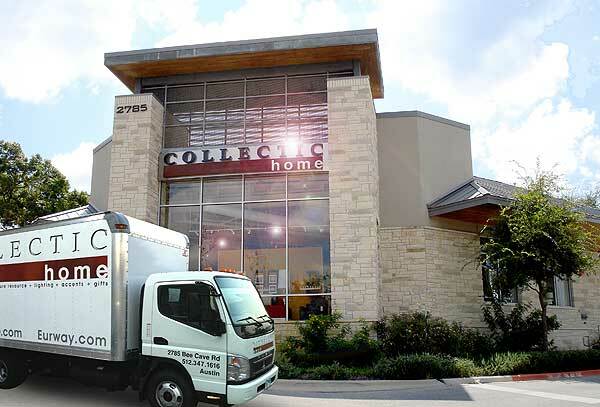 Collectic Home is conveniently located just southwest of downtown in Rollingwood on Bee Cave Road, one block west of MoPac / Loop 1.